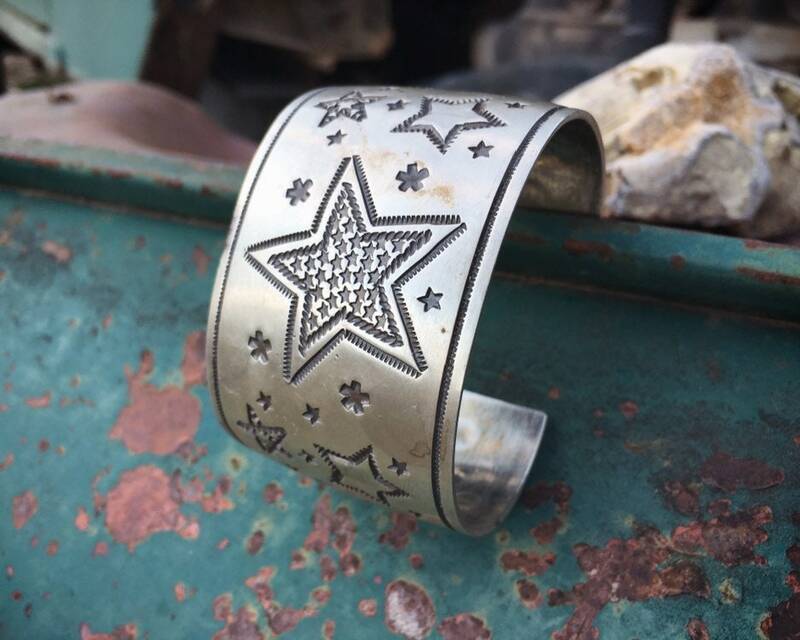 This wide sterling silver cuff bracelet is big and perfect for the person who wants size in a traditional "half round" form yet with very non-traditional designs stamped into the piece. 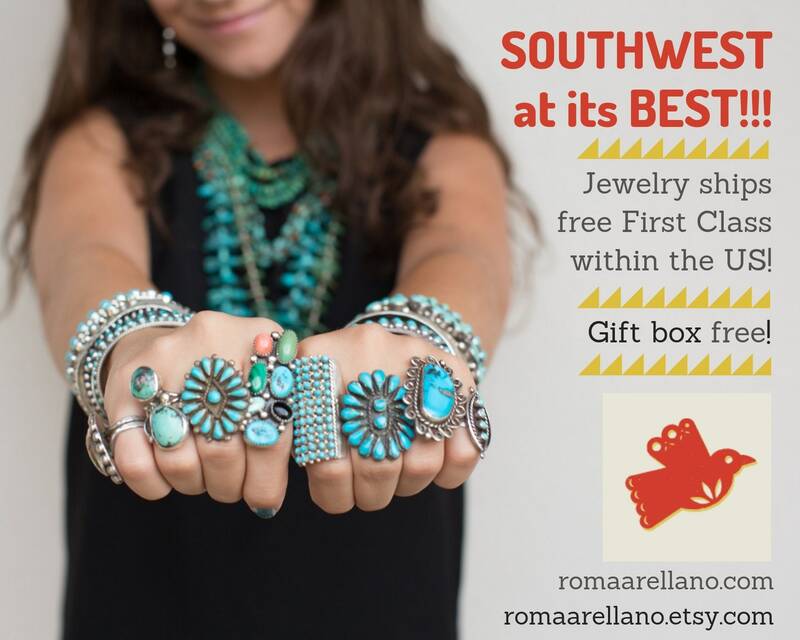 Made by Navajo Daniel "Sunshine" Reeves, it is typical of this award-winning artist's work. 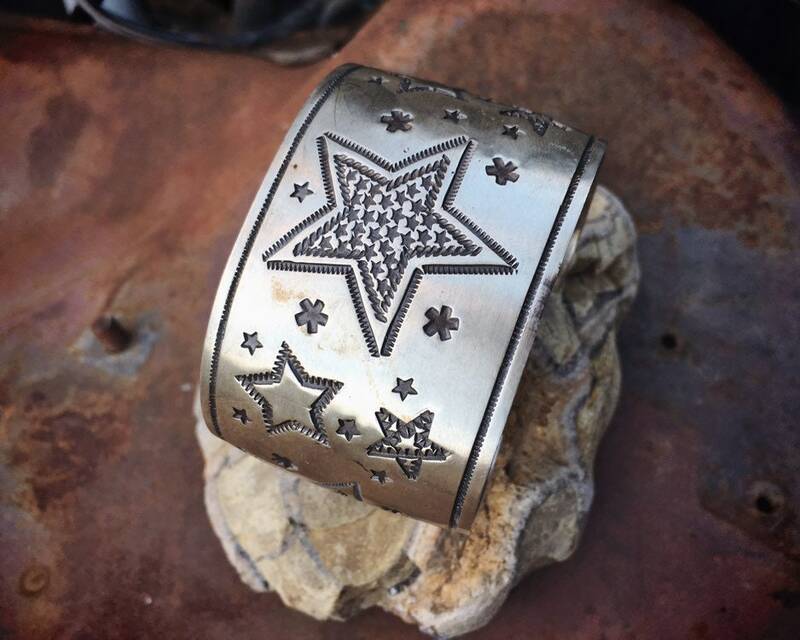 From a website about Reeves: "From bracelets and belt buckles to boxes, knives, bowls, and candle holders, Sunshine Reeves’ intricate stampwork on silver is rooted in tradition with eyes toward the future. 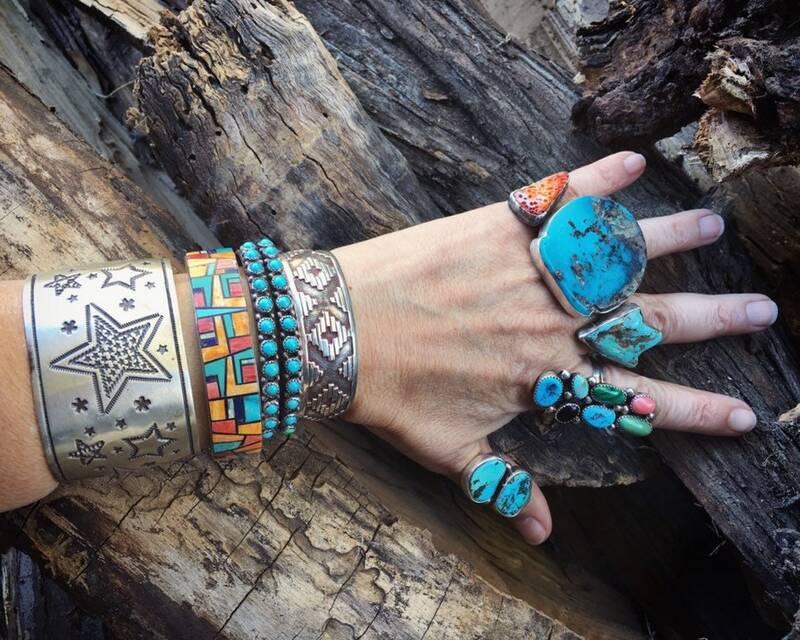 He has earned many accolades throughout the years, including Best of Show at 1997 Santa Fe Indian Market and Best in Class in 1998. 'Most people have no idea how complex the process is to create these unique art forms,' says Sunshine Reeves. 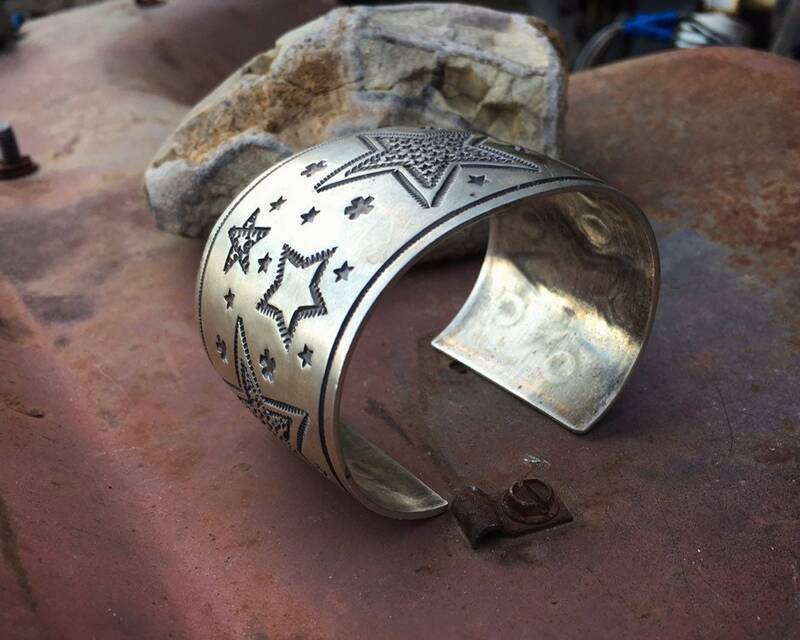 His work is more than simply a piece of jewelry or a box -- it is an art form. 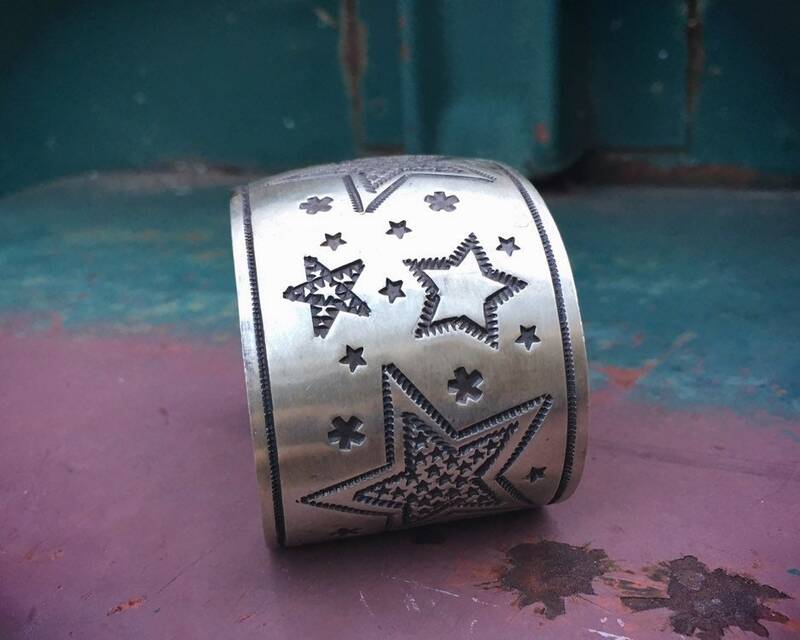 On an average piece, Sunshine will use 10 to 20 different handmade stamps to create the unique patterns for which he is so well known." 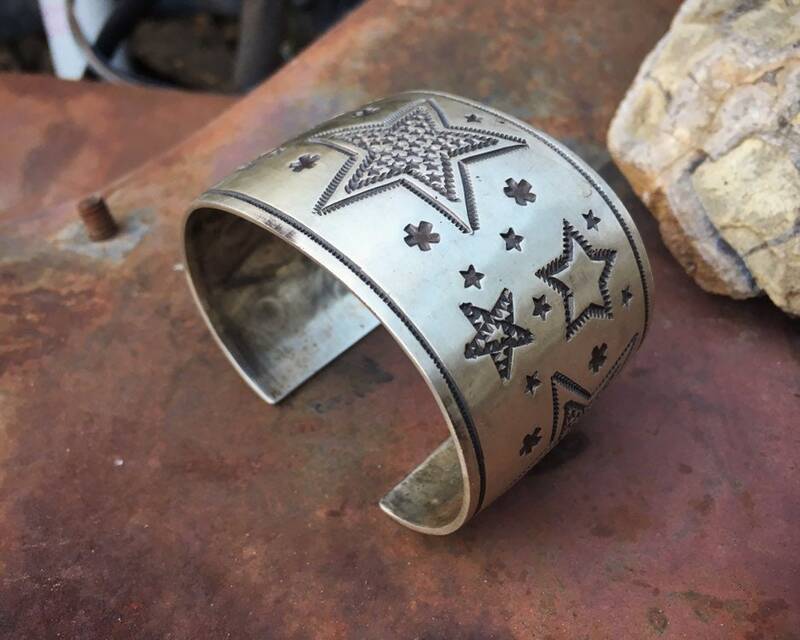 I love what this bracelet--with its 33 stars of all sizes--represents. For me it's about light, universe, and hope. And that's part of the beauty of the piece. Every person will take from it what they want and need. Reeves a collected artist, and he is represented by galleries and his works have been displayed at the Peabody Museum, Harvard University, and the Heard Museum. 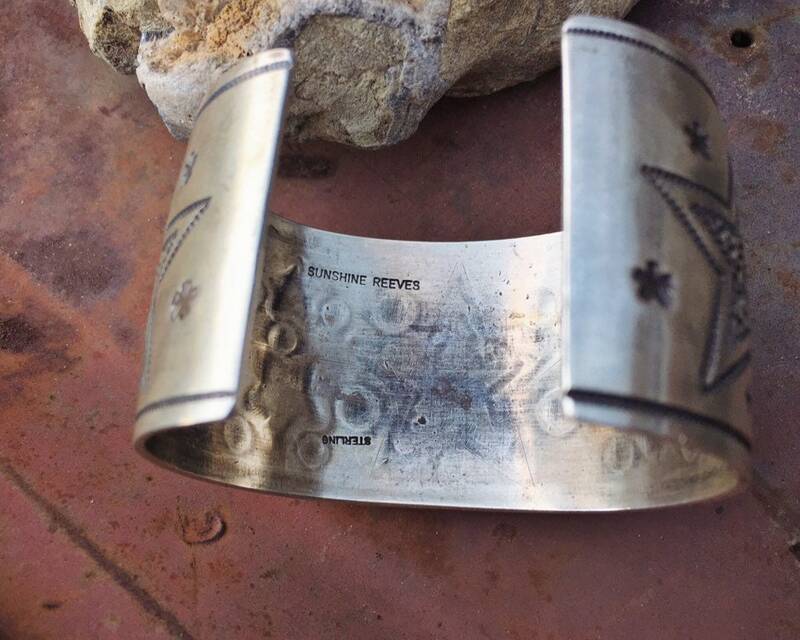 This cuff bracelet is minimalist in comparison to many of Reeves; bracelets. Again, that is one of the things I like most about it. 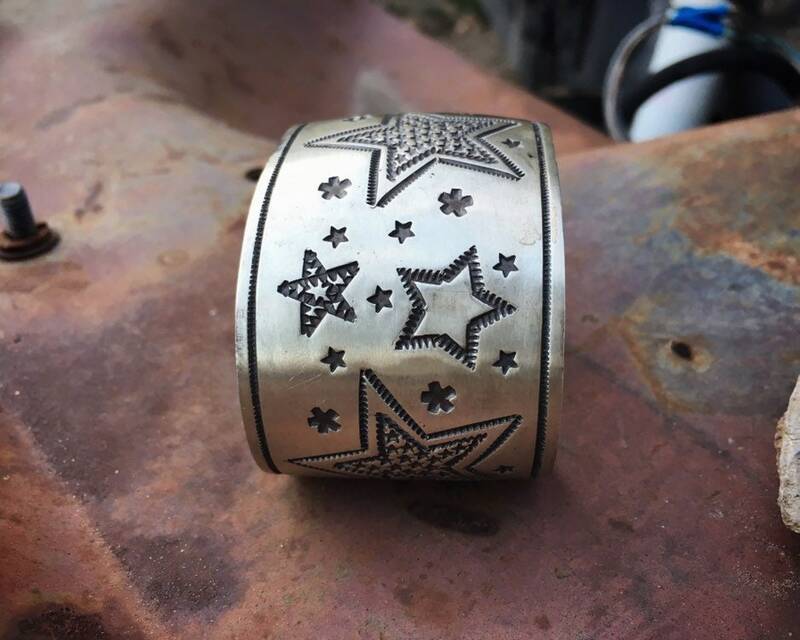 The bracelet measures 1-5/8" wide. Measuring end to end with a soft tape measure on the inside, it is just under 6" long with a just over 1" gap, for a total interior length of 7". The silver finish is brushed. Signed on the interior by the artist. Carries a STERLING stamp. Weighs 79 grams. 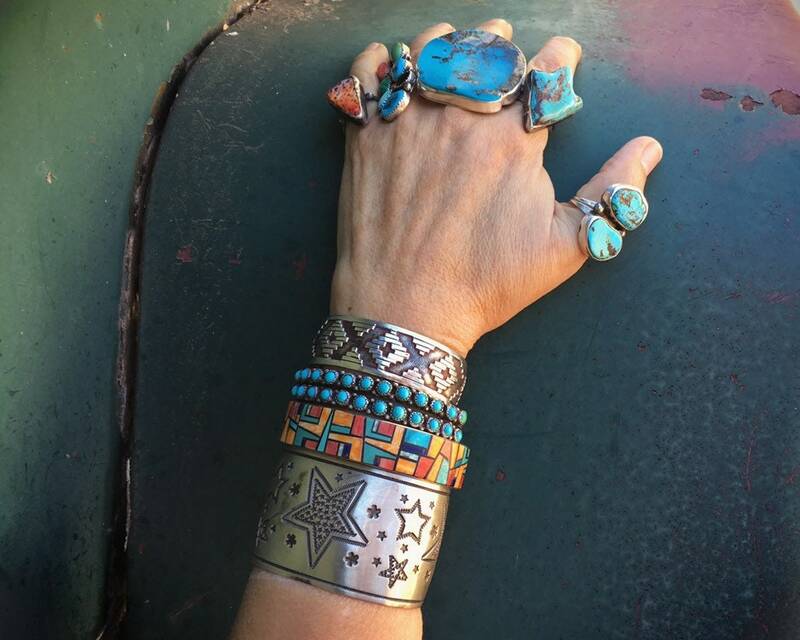 A cuff with great presence, for the person who appreciates traditional yet contemporary Native American jewelry.